This is where you can delete your account in the site, if account deletion was enabled by the Site Admin. 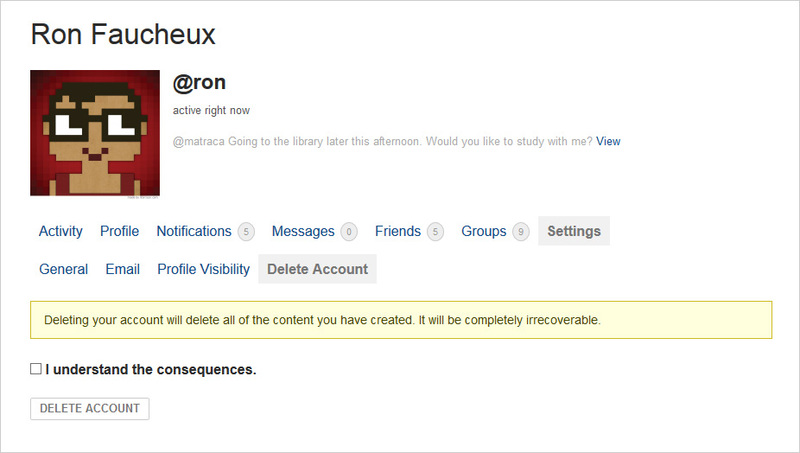 Note that deleting your account will delete all the content you have created in the site. Those will be completely irrecoverable.